Weekends in Imo state Nigeria have a way of glistening and arousing some sort of excitement for everyone especially newbies. With an impressive array of activities to a rich cultural history for those fascinated with that area, Owerri the city capital can be fittingly described as Nigeria’s entertainment city. 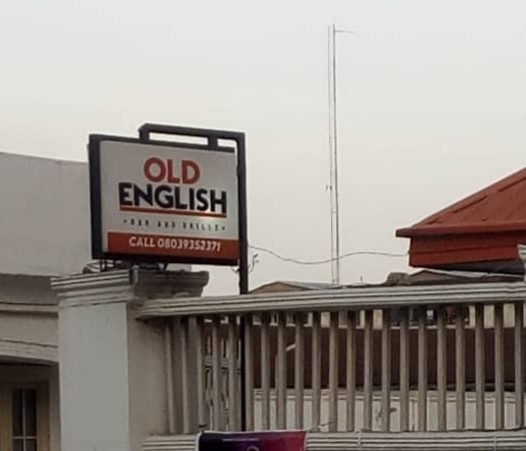 On a chat with thecircular.org, the manager of the famous sit out, Mr. Uzochukwu ozo, stressed out that the name “Old English” brand started first as a boutique that offered different kinds of local and conventional clothing. Additionally, most customers who patronise his services on weekends would advise him to spread his tentacles to other businesses because the name was catchy and endearing. Some of the customers who spoke to thecircular.org expressed satisfaction on the services they get and enjoin people to patronise “Old English Grills” because they make weekends enjoyable for all and sundry. “My name is Kingsley Okey and I am here to enjoy my evening after a tiring day at work. Old English has a setting that helps some of us reduce stress. From the natural animals to the freshest of palm wine. So basically, that’s why I love to come around here for that maximum satisfaction”.